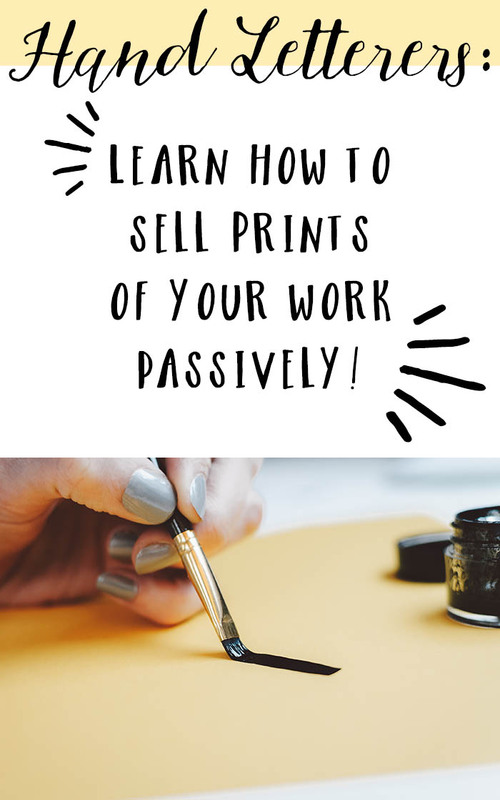 a Step by Step Course for Setting up Your Own Online Business Selling Your Art Prints (almost!) 100% Passively! Did you know there’s a way to sell your art passively online? There is. And I’d like to show you — step by step — how you can do just that! Best of all? It’s EASY. Hi! 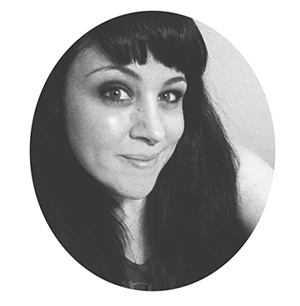 I’m jules, an artist and creative business coach at CreatingBeautifully.com. I teach creative people how to make money doing what they love in flexible, online businesses. And I firmly believe in working smarter, not harder. So after testing, tweaking, and some technology catching up, I finally figured out a way to sell my art prints almost 100% passively. And now I’m sharing that system with you! It’s also surprisingly fast. This won’t take you weeks or months to set up. 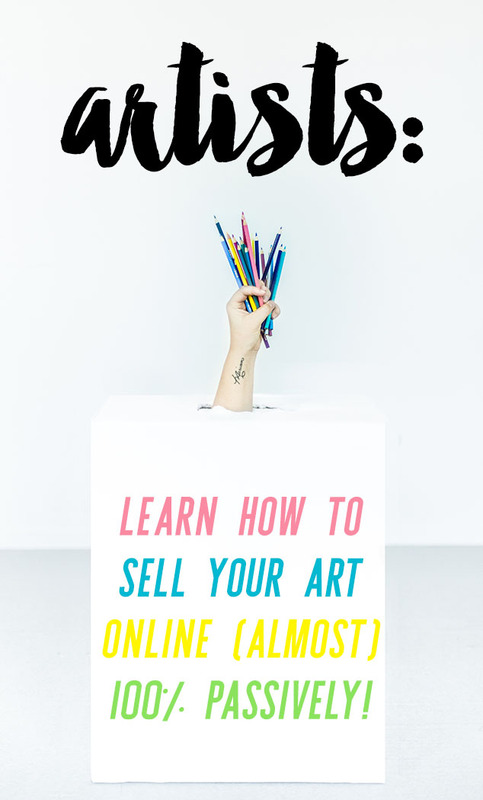 The way I’m teaching this course will help you quickly be able to sell your art passively online! You could have it all set up this weekend, if you want to! I mean this: when an order for your printed art (whether on fine art paper (framed or not), canvas, or even products!) comes in through your online shop, it goes directly to a company that takes care of everything for you: production, packaging, shipping, and even returns and exchanges on mistaken order and/or damaged goods! How much easier would your life be if you could Sell Your Art Passively Online like that? And if you’re not selling prints already? Well, you’ll never even have to experience any of the above. Woo! “I am only 2 days in on your email series & I wanted to send a quick note to let you know how much I love it already!!! Thanks for sharing so much good information, and I can’t wait to see what comes next!” – Alicia S.
“Jules I’m going to drop the L word over email and say I friggin probably Love ya!! You’re awesome to have this business!” – Thomas B. “Thank you for this, Jules. It is SO helpful! I so appreciate your wealth of free advice! Thanks!” – Jessica F.
As artists, we know it's nice to have multiple streams of income: from private sales, to galleries, to our own online shops, to art fairs, licensing and beyond. And offering prints is a great way to make more money in your art business. But the time you take printing, packaging, and mailing your prints is costing you money! That time could be much better spent creating new work or looking for my ways to grow your art business. That's why I'm sharing my own formula for selling my prints almost 100% passively in this short but powerful course. Q. I'm outside of the U.S. Will this work for me? Unfortunately not at this time. There may be ways to do something similar in your country, but that's not what this course teaches. 8 Modules with videos and bonus PDFs are included, plus a bonus section with advice on marketing your new (or improved) online shop. There is also a class discussion area in every module, where you can leave feedback, ask questions, and connect with other Art Sales on Autopilot students! Each module is only about 3-7 minutes, totaling about 45 minutes in all. I wasn't joking when I said you could take (and implement!) this course by this weekend. You're an artist, and your time is better spent making art then on technology. Q. When can I start the course? And how long do I have to take it? You can start the course immediately after your payment has been processed! And you have lifetime access to the course (even as I add to it and the price increases) so you can move through it quickly, take your time with it, and/or refer back to it again and again. Q. Does is matter what kind of art I make? 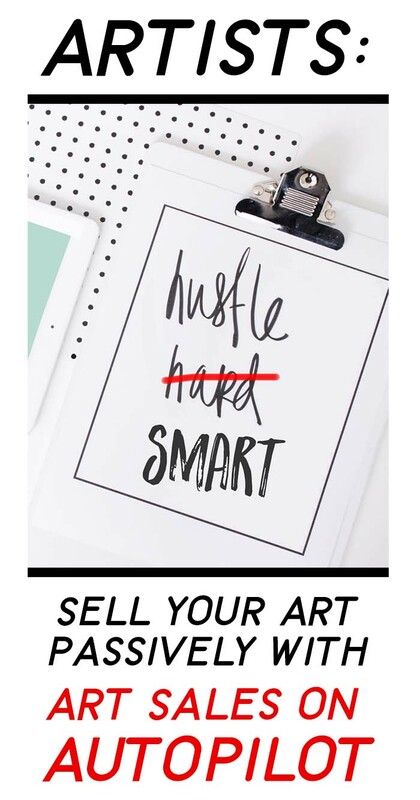 Not really, you just have to be able to sell prints of your work. 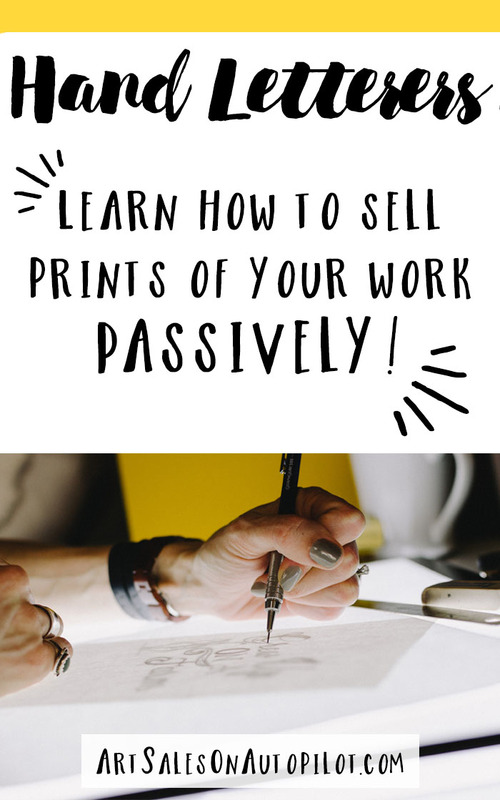 So you can sell art passively if you're an illustrator, abstract artist, painter, photographer, printmaker, collage artist, digital artist, or any type of 2D artist. Q. Besides the low cost of the course, are there any other expenses I can expect? Yes and no. You can bootstrap this and not have a single expense until your first piece sells. You do have to pay the printer to pack and ship your work - potentially before your patron's purchase has been paid to you. This will depend on what type of shop you open (I explain two different types of shops), what types of payments you accept, and how yor shop handles payments (some payout daily, others once a week.) There are some other potential expenses, but they are all optional and typically you'd need to spend no more than $150 to get everything all set up and running smoothly. Q. Is there a moneyback gaurantee? Of course. If you complete all 8 modules and set up your passive income shop and then feel like it wasn't worth $27 I will happily refund your money within 60 days. PLEASE NOTE: this course is for U.S.-based artists only, because the tools and platforms I recommend and teach are currently only available here. 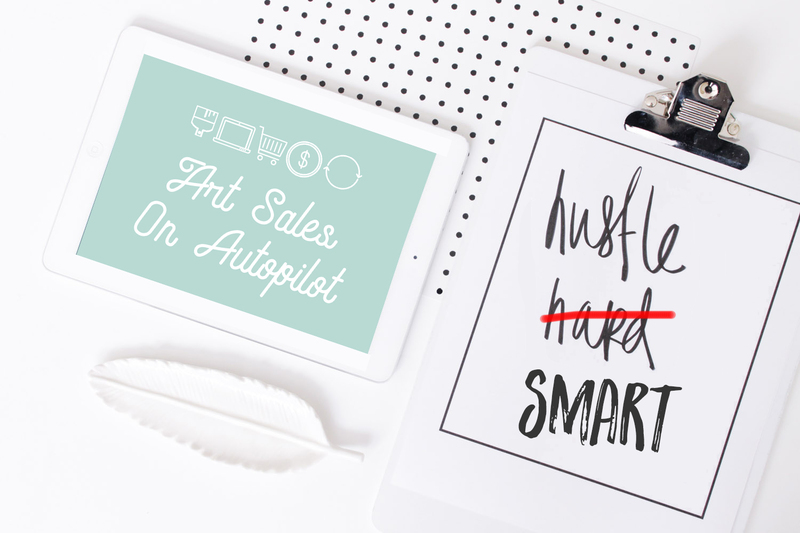 Hand Letterers: Learn How to Sell Prints of Your Work Passively! 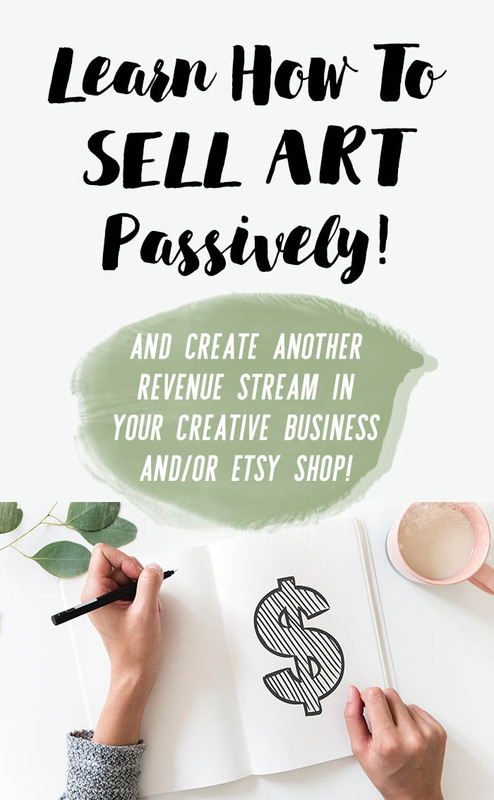 Learn How to Sell Your Art Online Passively and create another stream of income for your creative business or Etsy shop!